January opened another very quiet start to the year. Other commitments meant that there was less coverage than hoped and subsequently there were few records of note. Little Grebe has become an almost permanent resident in the area in recent months and this remained the case at the start of the year with a single present on and off throughout. 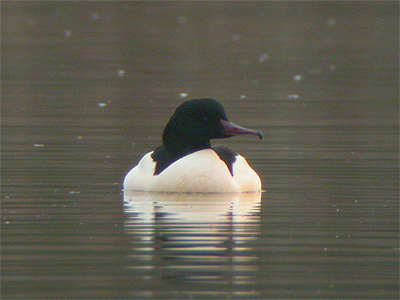 Other wildfowl records at Eakring Flash were a Shelduck and a female/immature Goosander on the 30th, with eight Goosander there on the 31st. A new site record count of 42 Teal at Eakring Flash was reached on the 22nd. Good numbers of Teal remained until the end of the month and into February, but all other counts never exceeded 36. February remained as quiet as the previous month. Goosander records continued with between one and eight birds on five dates to the 16th whilst there were still 33 Teal present on the 16th. Interestingly, there were no records of either of the Wintering thrushes during the month. March picked up towards the mid-month, after another quiet start, and coverage was daily thereafter. Highlight was the area's second record of Common Crane which flew north-east on the afternoon of the 22nd. With three Common Buzzards resident just outside the area, a series of regular sightings made the determination of true migrants difficult, but singles moving north-west on 19th and 25th seemed genuine candidates. After the area's first Stonechat of last November, further records came from Eakring Flash on four dates. These were a pair on the 11th, a female remaining till the 12th and finally another female on the 17th. 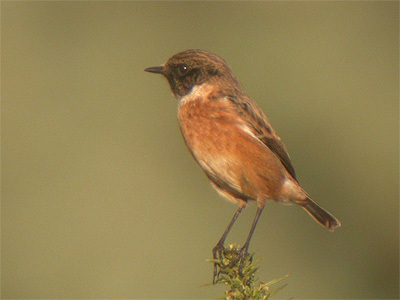 These records came during a particularly good passage of Stonechat throughout the country at this time. With migration getting underway after the first week, visible migration records saw some average totals, with 352 Meadow Pipit and 642 Fieldfare, but a record 70 Pied Wagtail was well above any previous accumulated March total. 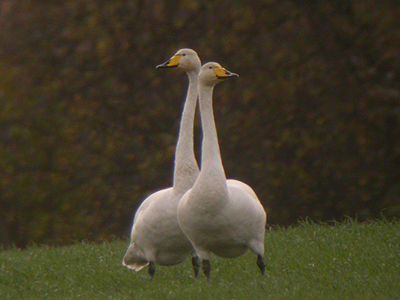 An adult and two immature Whooper Swans flew over Kersall village on 13th. Early migrants created new earliest dates for the area. These were a Chiffchaff at Eakring Flash on the 12th, a male Wheatear in fields near Church Hill (22nd) and four Sand Martin on the 25th. A new highest count for Sand Martin was the 60 moving north-east two days later on the 27th. Further early Wheatears also arrived during March with a pair near Eakring Meadows and then near Church Hill from 23-24th. These records were a month earlier than the first dates of both 1998 and 1999. Four Shelduck were present on the 16th. April was an exciting month with some excellent site records once again, including Osprey, Marsh Harrier, Bar-Tailed Godwit, Ring Ouzel, first records of Oystercatcher and Egyptian Goose, good numbers of Wheatear and the best period of Warbler arrival to date. A Barn Owl was reported quartering land near Pastures. Six Common Tern moving north on the 9th was both an early date for the area and an unexpected early record, remaining the only Spring sighting this year. A male Ring Ouzel was at Eakring village, around Oil Bore Holes on the 16th. Initially sat at the top of an Ash tree, the bird was lost to view as it dropped into dense Hawthorn scrub. 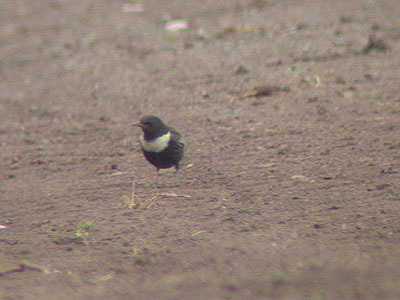 This was the fourth occurrence of Ring Ouzel here in as many years, three of which have all been males. Wheatears continued to arrive at the start of the month. Singles were near Church Hill on April 4th and 6th. On April 22nd seven birds were present in the area, following an arrival during the morning. A male and female were on Red Hill, three females at Tug Bridge Farm and a single female briefly at Eakring Flash. Most arrived from mid-morning onwards. By the afternoon, several birds present during the morning, had presumably moved on. Four females at Tug Bridge Farm, being joined by another in the afternoon. In addition, a further three new birds arrived the next day, bringing the total for the month to 13 birds. 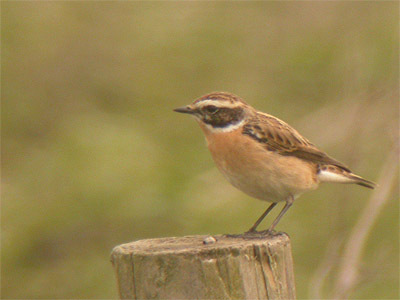 In contrast, Whinchat continued to be scarce during the Spring here and there were only two records concerning singles at Eakring Flash on 22nd and 27th. Summer migrants arrived, during the month, with several species recording earlier first dates.Especially notable was the Turtle Dove that flew west on the very early date of the 16th. 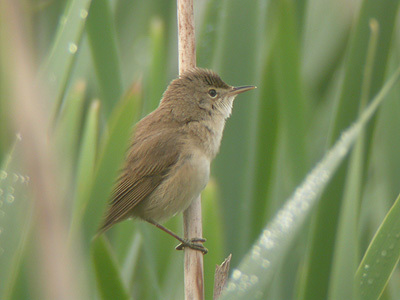 A Reed Warbler in the old hedge at Eakring Flash was the first ever Spring record and this bird arrived with good numbers of other warblers over a short period around the 23rd. Late Redwing remained in the area until the 16th, with 17 at Oil Bore Holes on the 8th. After the first record of Ruddy Duck in 1999, further birds appeared during the month, totalling five on the 25th. Two Egyptian Geese flying in from the south-east ( 6th) being another site first. May's general weather patterns continued from April, resulting in a good first half of the month for Waders. Highlight were the two Turnstone which flew north on a very gloomy and wet 5th during what was the area's best Spring for waders. In addition there were records of five Summer plumaged Bar-Tailed Godwit (4th) single Whimbrel north-west (6th) and Greenshank north-east on the 20th. Both Redshank and Little Ringed Plover remained scarce and only single birds were noted. An Arctic Tern moved north-west on the 8th, presumably a straggler from the good numbers through the midlands the previous day. A confiding female Greenland Wheatear was present early morning in the Sugar Beet field near Church Hill (20th) representing one of the month's latest records of note as the region slipped into the quiet spell of Summer and breeding. A very late Fieldfare was at Kersall/Eakring Meadows from 7-9th and was the latest ever record. Regular sightings of Hobby included three at Eakring Flash on May 3rd and singles on a further four dates, whilst Common Buzzards displayed over the area on the 1st. 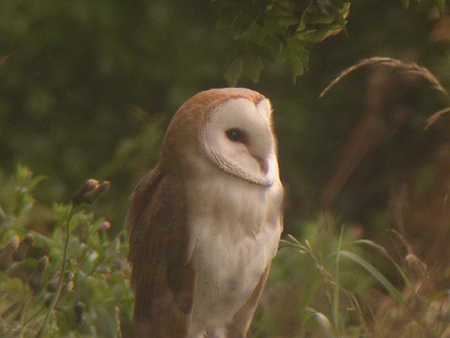 The Barn Owl was independently reported again from Eakring village. June was similar in comparison to the same month of previous years, but did have some interesting records to offer. After the first Oystercatcher record last month, a surprisingly quick successor involved two birds moving north-west on the 4th. This followed a brief Little Ringed Plover on the 3rd. A Common Tern, present during the evening of the 13th, was very unexpected and could have related to an early returning bird. Return migration began with Swifts producing several movements, the highest of which was the 737 birds which moved west on the 24th. More unusual was the small House Martin movement which took place the same day. 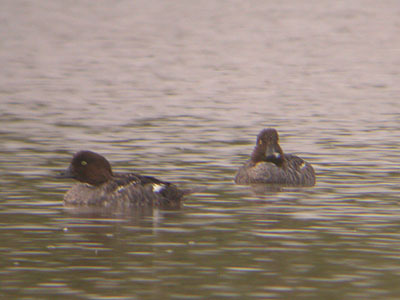 Teal were present at the end of the month. A single male on the 24th at Eakring Flash, was joined the next day by another. Both remaining into July. Most of the month was taken up with the breeding bird survey. Most species had another good year of breeding success and counts for the majority of species were up on previous counts. Blackbirds continue to do extremely well and counts topped the 100 pair mark for the first time. Two pairs of Yellow Wagtail bred successfully although Jay and Grasshopper Warbler failed to breed this year. A second-Summer Common Gull was the first ever June record on the 3rd. July began in promising style with a good spell of wader passage on the first three days. With a single Curlew (and the first of the year, following a blank Spring) on the 1st and a Green Sandpiper on the 3rd, it was the intervening day which was notable. Eight Curlew and a Bar-tailed Godwit flew north-west during the morning, followed by two Whimbrel and another Curlew during the afternoon. The day was even more eventful when the area's only second known record of Kingfisher occurred, a bird on The Beck at Eakring Flash. 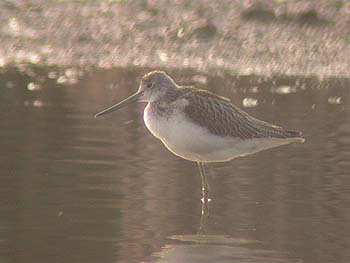 Towards the end of the month, returning waders began appearing once more. Two more brief Green Sandpipers, four Whimbrel, including three moving north-west (23rd) and one heard calling nocturnally at 1:03am on the 30th, with two Dunlin moving south rounding the month off on the 31st. A Hobby was also present on the 2nd, with further records from 21-23rd, which involved at least two birds, including a juvenile which hunted around Eakring Flash for two days and a Common Buzzard was around Lound Wood on the 17th. 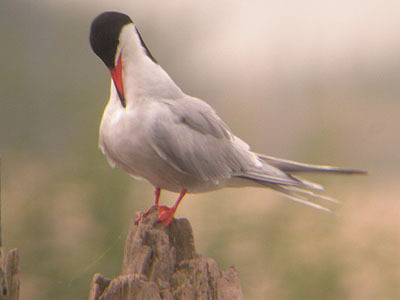 After the unexpected record in June, migrant Common Terns flew through on both 20th and 22nd. Good numbers of gulls began to occur and a pronounced influx of 46 Common Gull (23rd) almost represented an area record count. This was however, an unusual occurrence for the time of year and coincided with a spell of north-easterlies. Lesser-Black-Backed Gull numbers built up to a high of 224 on the evening of the 25th. 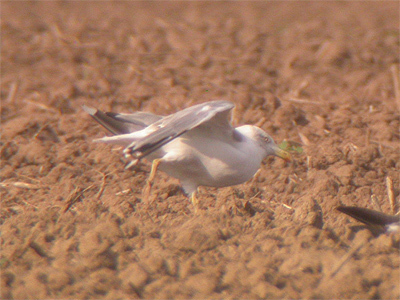 Autumnal ploughing attracted many gulls and Black headed Gulls leaving a field near Kersall, augmented an almost certain coastal influx occurring the same day as the Common Gull influx on the 23rd. Total counts reached 388, a new site record. Yellow-Legged Gulls were noted on both the 16th and 25th. Visible migration began to pick up and along with daily counts of Swifts, Sand Martins produced record Autumn counts over a three day period from 15-17th, with a highest count of 53 on the latter date, among a combined total of 86. August continued to feature wader records, following the series of records from late July. Some seven Green Sandpipers were noted on various dates, most favouring the small area of mud which formed at the southern end of Eakring Flash, as water levels dropped slightly. This was the only wader species apart from two-three regular Snipe, which didn't appear as fly-over records only. A Greenshank on the 5th flew west, followed by three Curlew north-west (8th) and 12 Whimbrel west on the 13th. Nocturnal wader passage was noted on August 6th (Dunlin) a Whimbrel on the night of August 11-12th, along with four separate Oystercatchers at various times overnight. A Marsh Harrier was quartering the roadside Bean field near Eakring Flash on August 8th. Several Hobby and Common Buzzards were also seen throughout the month as return migration continued. Good numbers of warblers again moved through the area. Most recording was conducted at Eakring Flash this year and the highlights were two Reed Warblers in the Old Hedge on the 15th, followed by a Grasshopper Warbler on the 17th. The only Whinchats were two in the Bean field from 28-29th and Tree Pipits included one on the 13th and six moving south on the 20th. 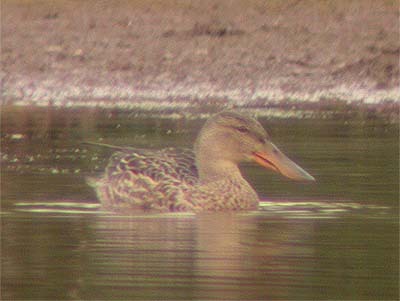 A Shoveler on the 31st, was a typical date, following on from single birds in the past two years. Seven immature Shelduck flew south-west on the 31st. Lesser Black-Backed Gull counts peaked at 420 on the 31st. September saw migration reach a peak for most species during , with the last week of the month producing some excellent migratory figures and an excellent series of raptor records which included Osprey, Marsh Harrier, Honey Buzzard and almost daily records of Hobby. With an immature Red Kite present in the area at the start of the month, September did eventually live up to all it's expectations and again represented perhaps the most varied month of the year. Sightings of Red Kites in Nottinghamshire are rapidly increasing and this is being reflected here. With a bird just outside the recording area, at nearby Dukes Wood earlier in the year, it was good to find an immature present with two Common Buzzards in the Hare Hill Wood/Park Farm area on the 3rd. The bird was present for several hours during the morning and stayed long enough for two other county listers to see it well as it quartered fields in the area. Common Buzzards are a regular sight here during the Autumn months and throughout September, up to three birds were regular, but a peak count of four over Lound Wood towards the end of the month, was a new highest count. 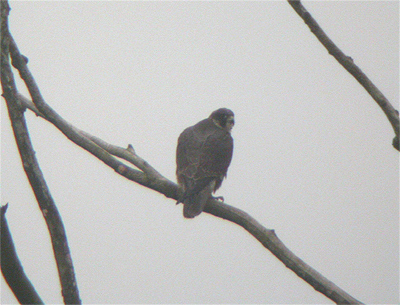 Other Raptors included an adult Peregrine on the 10th and an immature male on the 25th and again on the 27th. 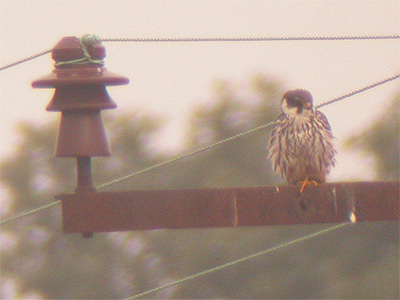 Hobby were present on most days, with several migrants recorded, but also an adult and immature were present throughout in the Eakring Meadows/Eakring Field Farm area. Larger and much rarer raptors included a second Autumn record of Marsh Harrier south over Red Hill on the 24th and an Osprey at Eakring Flash later the same morning. A Honey Buzzard drifted south to the west of Red Hill on the 23rd. 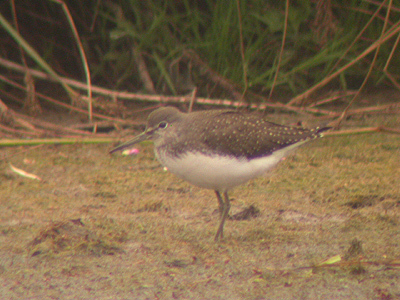 Wader sightings consisted of just two Green Sandpipers on three dates. September continuing to be a very poor month for waders here. Summer migrants passed through the area during September. Warblers were rather disappointing and there were no late or unusual last dates during the month as most birds passed quickly through. As the weeks went by, migration really began to gain momentum and during the last week of the month, there was an unusually protracted spell of Meadow Pipit passage. Three figure counts occur only two, occasionally three times during any Autumn passage, but this year has been significantly different, with such counts occurring on at least five dates. Overall, a total of 2 194 Meadow Pipits moved through during September, with counts of 500+ being noted on two dates. Two such counts are very rare indeed. Good numbers of Yellow Wagtails were also recorded and a new maximum daily count of 23 was recorded on the 10th, with 16 moving south on the 17th. An unusual spate of late Tree Pipit records were noted with two moving south and south-east on the 27th and two moving south on the 28th. Whinchats were recorded from the Bean field near Eakring Flash, two on the 4th, with further single records from near Church Hill (24th) and Penny Pasture Common (24-27th). This latter site also held three on the 30th. Obviously a noticeable influx took place at this time. Two Wheatears were noted from the by now harvested Bean field at Eakring Flash on the 27th, with another in fields near Eakring Meadows on the same date. 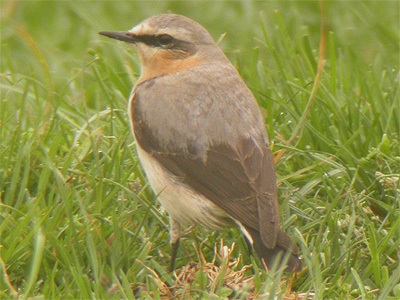 The next day, two Greenland Wheatears were present at Tug Bridge Farm. A Kingfisher was seen flying around Red Hill on the 30th and the first of the winter visitors arrived when five Brambling moved south on September 29th. These birds occurred as part of a large and varied finch movement on the same day, although October offers better possibilities for larger counts of finches. October continued in much the same fashion as the last week of September, with visible migration dominating the proceedings, along with the continuing presence of some late Summer visitors, just making it into October. 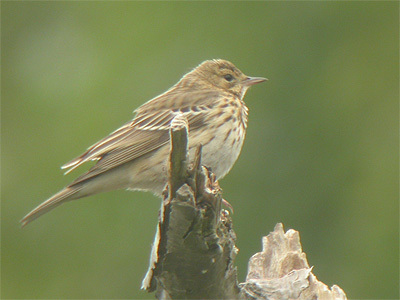 Latest ever records were set for Hobby, Whinchat and Tree Pipit (2) on the opening day of the month. 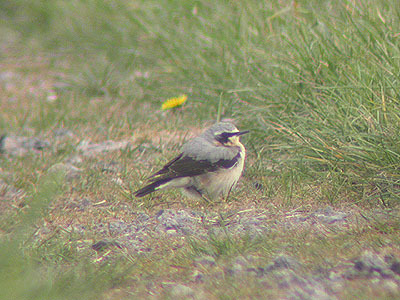 A Wheatear present at Tug Bridge Farm on the same date, though not the latest here by some way, represented a late county and area record. White Wagtail is a species definitely over-looked during the Autumn, so three birds with 14 Pied Wagtails near Eakring Flash on the 5th, was an excellent record. Swallows were noted frequently during the first half of the month and five through on the 23rd, was a very good count for such a late date and up to six House Martins were still around Eakring village on the 14th. Blackcaps remained around the Pastures area until the 15th. By mid-October, returning Winter visitors began to dominate visible migration watches. Such watches, typical of the coverage here, produced three Twite moving south just after first light on the 13th, among good numbers of other finches. Best movements were 18 Siskin south-east (1st) 22 Brambling south-west (8th) and 57 Greenfinch west (13th). 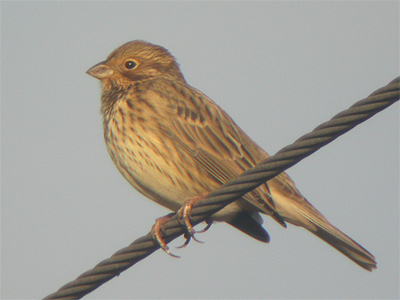 Small numbers of both Yellowhammer and Reed Bunting went through almost daily, but the Corn Bunting which flew west on the 21st, represented a rare site record. Visible migration also saw Sky Larks peak with 117 south-west on the 1st, a day which also produced another good Meadow Pipit movement of 327. Smaller numbers trickled through after this date and a Rock Pipit flew low over Eakring Flash on the 9th. Thrush counts were quite poor during the month, but Starlings produced more respectable and consistent passage on the less windy days. Redwings produced 223 south-west on the 22nd, with just eight Fieldfare moving south-west on the 28th, one of only two Fieldfare records for October. With periods of very windy weather towards the end of the month, the hoped for storm-driven seabird never materialised, but two new species were added to the area list on the 29th. An afternoon visit produced two Goldeneye on Eakring Flash (long overdue) and perhaps most surprising of all was the juvenile Grey Plover that was found among 136 Golden Plover in fields near Church Hill. Both were very welcome additions. Gull counts were of normal levels, with Lesser Black-backed Gulls remaining in the area in good numbers. Both Herring and Great Black-backed Gulls became more regular as the month progressed. 14 Snipe at Eakring Meadows on the 21st was the highest of the Autumn to date and the only noteworthy count. Raptors included female and immature female Peregrines on 14th and 21st and a Common Buzzard on 13th and 29th. The first Pink-footed Geese flew south-east over the area on the 8th. November saw migration continue to dominate the bird watching during the first half of the month, with large numbers of Fieldfare moving through the area. Peak movements and dates were 1 141 November 4th, 2 088 November 7th and 1,027 on the 8th. Regular daily movements accumulated over 5 000 Fieldfare in total. Daily Starling totals never beat the 1 000 mark, but again this was a species with a very large accumulative total of 7 000. Redwing totals were the best recorded to date, although numbers can be greatly improved. 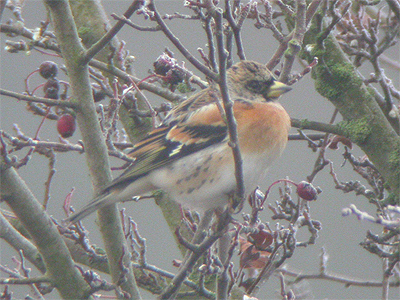 Finch movements were less noteworthy and the only Brambling recorded were five moving south-west on the 4th. 39 Redpoll moved south on the 9th, this representing a very good count and the best of the month. Typically the month for cross-country Pink-Footed Geese movements, November saw several skeins move either south-east or north-west on the following dates. 270 south-east on the 4th; 47 west 5th; 65 east and 47 north-west 19th; 190 north-west on the 20th. 32 Greylag Geese flying north (7th) was a high count and a quite unusual date. 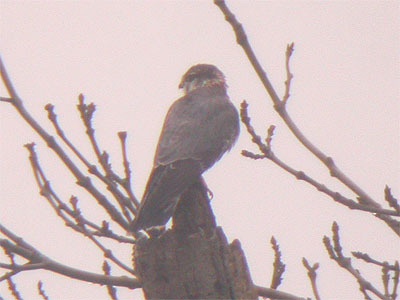 A Merlin over Eakring Flash late in the month, was the first and only record of the year. Other Raptors seen included up to three regular Common Buzzards. November saw an influx of both 126 Herring and 49 Great Black-Backed Gulls on the 9th, moving south-west. Common Gulls peaked at 31 on the 7th. 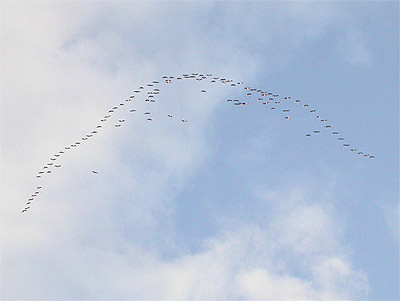 This movement consisting of many birds moving high south. 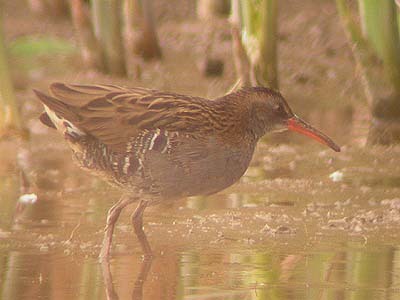 A Water Rail was seen briefly at Eakring Flash on the 19th. This was only the second individual ever recorded here. December was generally quiet, picking up greatly during the last week when colder conditions brought in some good birds. This certainly helped to create the best December so far and rounded off a record year containing 133 species in style, with an area first on New Year's Eve. Prior to this, much milder conditions allowed for a good count of Snipe at Penny Pasture Common, with 18 there on the 24th. Birds were regularly flushed from the various ditches and streams during the cold spell at the month's end and the full number of Snipe in the area at the end of the year, was probably much higher. Wildfowl were represented by a record Teal count from Eakring Flash, with 48 there on the 27th and 31 still present on the 30th. Smaller numbers were recorded on all other December dates. 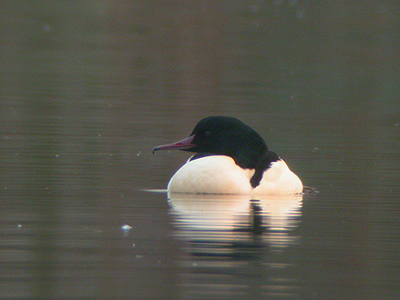 A series of Goosander sightings which mirrored those occurring in the same period two years ago, included three on the 24th, a male, 27th and a pair on the 28th. The milder weather saw several Fieldfare flocks in the area, peaking at 179 on the 24th. A much better than normal Redwing population was evident at this time, as also were large numbers of Blackbirds at most sites. Blackbird counts peaked at 210 mid-month. This represented a large increase on November's population survey. Late December saw the first snow of the Winter. Although amounts in the Eakring and Kersall area were small, heavier snow elsewhere in the country, meant a departure by some species away from such conditions. Much milder Winters of recent years, have rarely contained a period of cold weather substantial enough to initiate migration by birds in search of more milder conditions to the south. Indeed, virtually no hard weather movements had taken place over the Eakring area prior to that which occurred during the last days of December. Below is a summary of the hard weather movements that occurred. December 28th saw two flocks of Sky Larks totalling 68 birds, moving west and north-east, with 37 Lapwing west and 26 Golden Plover south-east. December 29th marked the second day of the cold weather and saw much larger movements from most of the previous day's species. 767 Lapwing flew south and south-west, with 607 Sky Lark south, 188 Redwing north-west and 96 Fieldfare north-west and south-west. Other Thrushes on the move included five Song Thrush and six Blackbird. Golden Plover totalled 120 south-west. December 30th produced 212 Lapwing west, 70 Fieldfare and 15 Redwing south-west. December 31st was still very cold with an increasing south-easterly wind. 274 Lapwing went west, bringing a full total of 1 290 Lapwing in four days. December's cold spell also brought with it some excellent birds. 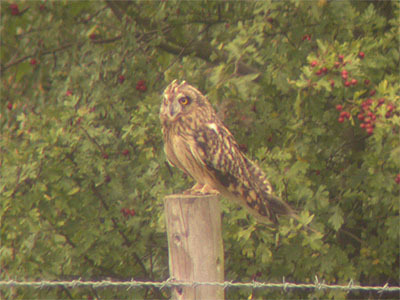 A Short-eared Owl was present in the Red Hill/Eakring Flash area on the 27th, a Water Rail was flushed from the sewage works at Eakring village on the 29th, with a Woodcock at the same site on the 31st. A female Peregrine was in the area (30th) and the area's first Iceland Gull (an adult) flew south-west over Leyfields on the 31st. 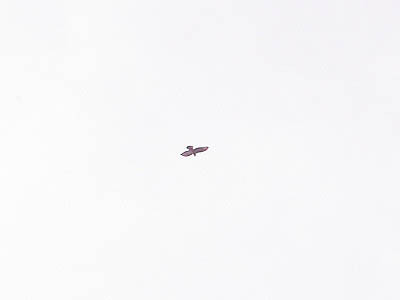 A Red Kite over fields near Church Hill on 23rd, was belatedly reported at the end of the month.